Why the Need for Womb Transplants? One in every 5000 women in the UK is born without a womb. In 2007 alone there were 2,200 women aged between 15 and 44 who were born without a womb. In the 15 to 24 year old age group in the UK, around a thousand young women have hysterectomies every year. Hysterectomy is still a commonly performed procedure for the treatment of cervical cancer – many of these cancer victims have not completed their families when they have their wombs taken away. Occasionally, women who are delivering a baby may suffer from a life threatening bleed (post-partum haemorrhage). One or two women in every hundred have their womb taken away because no other measure is able to stop the bleeding. Overall in the UK around 15,000 women of child bearing age have no womb. 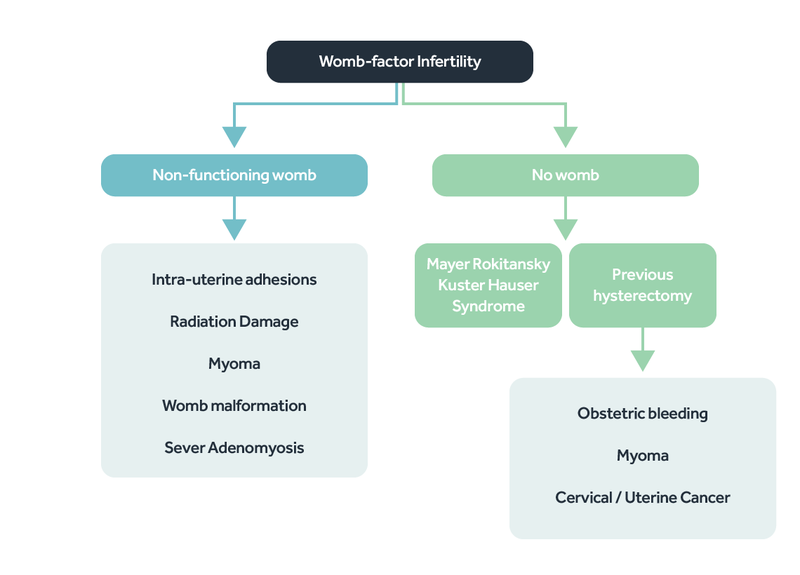 Not having a womb is called Absolute Uterine/Womb Factor Infertility. Women diagnosed with this condition prior to starting a family are faced with never being able to experience the joy holding their own baby in their arms and have the family they wish for. If diagnosed after having a child(ren), they may not be able to complete their family if they so wish. Being infertile because you have no womb may not be a life threatening situation, but for some, this can at best adversely affect the quality of their lives and at worst can damage or destroy relationships and lead to many forms of illness. The only two options which are available for these women are adoption and surrogacy, both acceptable options but fraught with moral, ethical and financial difficulties. Our team has experienced many women facing such a situation and has been approached by others asking about the potential for womb transplantation, either for themselves or a close relative.